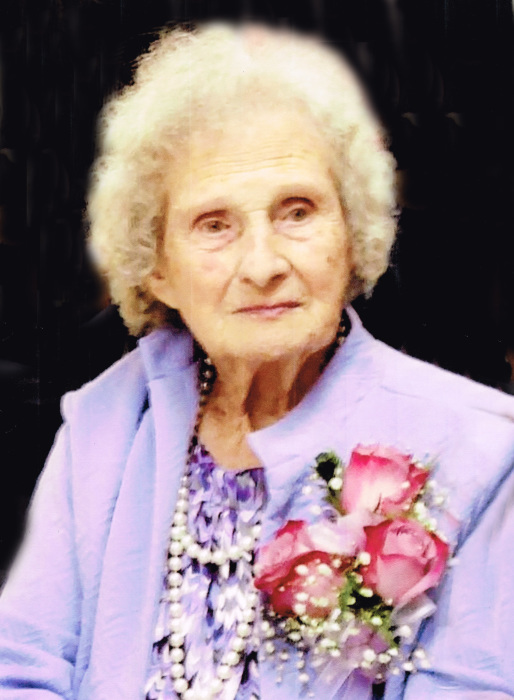 Christine O’Neal Murden Wheeler, age 100, of Crawfordville, GA died Thursday, May 31, 2018 at her residence attended by her loved ones. A lifelong resident of Taliaferro County, she was born on September 14, 1917 in Robinson, GA to the late Oscar Hentz Murden and Mattie Lee O’Neal Murden. She grew up in Robinson and graduated from Alexander Stephens Institute in Crawfordville, GA. After high school she married the love of her life, Buddy Wheeler on December 20, 1934. She was a homemaker and an excellent seamstress sewing for many in the community. She was a very active member for over sixty years at Margaret’s Grove Baptist Church, where she held many positions of responsibility. She retired in 1997 after cleaning the church for twenty-one years. She was also vice president of the WMU from 1960 to 1979 and as long as they had Bible School she was a teacher. She taught every child that came to the church. Mrs. Wheeler served as a delegate to the Georgia Association for eighteen consecutive years. She grew flowers to be placed in the church, fed the preachers in her home, and was in charge of the homecoming dessert table. She was the assistant librarian from 1981 to 1992 and the librarian from 1993 to 1995. She always felt that God had blessed her with a wonderful family and had allowed her to serve her church and community in many ways. Other activities she enjoyed were reading, especially her Bible and doing word search. She was preceded in death by her husband, Macon Millner “Buddy” Wheeler and all of her siblings: Marion Murden, Vera Maltbie, Redmond Murden, Bennie Murden and Beatrice Murden. She is survived by her six children: Sidney Wheeler (Nancy) of Stevensville, MD, Marilyn Osborne (John) of Union Point, GA, Elaine Nunn (Willie) of Crawfordville, GA, Clifford O’Neal Simons of Crawfordville, GA, Sylvia Camp of Griffin, GA and Jenny Carter (Derrel) of Broxton, GA; 28 grandchildren; 40 great grandchildren; and 6 great, great grandchildren; many other relatives and friends. Funeral Services will be held Saturday, June 2, 2018 at 11:00 a.m. at Margaret’s Grove Baptist Church, 1791 Margaret’s Grove Road, Crawfordville, GA 30631 with Rev. Albert Stroup officiating. Interment will follow in the church cemetery. Serving as pallbearers are grandsons: Steven Camp, Mickey Osborne, Chris Osborne, Scott Carter, Shane McCullough and George Nunn. The family will receive friends from 10:00 a.m. until time for the service at Margaret’s Grove Baptist Church. In lieu of flowers memorials may be made to Margaret’s Grove Baptist Church, c/o Dorothy Rhodes, 2703 Bethany Church Rd., SW, Crawfordville, GA 30631. McCommons Funeral Home, 109 W. Broad St., Greensboro, GA, (706) 453-2626, is in charge of arrangements. Visit us at www.mccommonsfuneralhome.com to sign the online guest register.